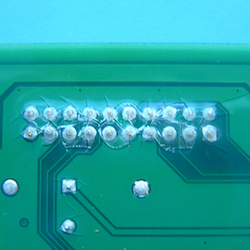 Cracking in conformal coating is where the smooth surface of the coating fractures into sections. 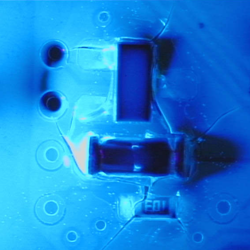 The cracks in the conformal coating leave the surface area below exposed to potential contamination penetration. This allows moisture, water and debris to reach the board level where other defects could then occur such as corrosion. Cure temperature too high: When the conformal coating is accelerated cured within an oven for example the speed of cure can lead to premature drying of the top surface before the remainder of the coating is dry. Cracking can occur. Cure Temperature Too Quick: Heating the coating too quickly without allowing enough time for room temperature (RT) drying can cause cracking. Environment Extremes: If the operating temperature of the circuit board is too high or too low, then this can cause the conformal coating to flex too much and crack. Reduced Cure Temperature: Lowering the initial cure temperature of the oven can reduce the cracking effect. Material Selection: Select a coating with a wider temperature range performance. 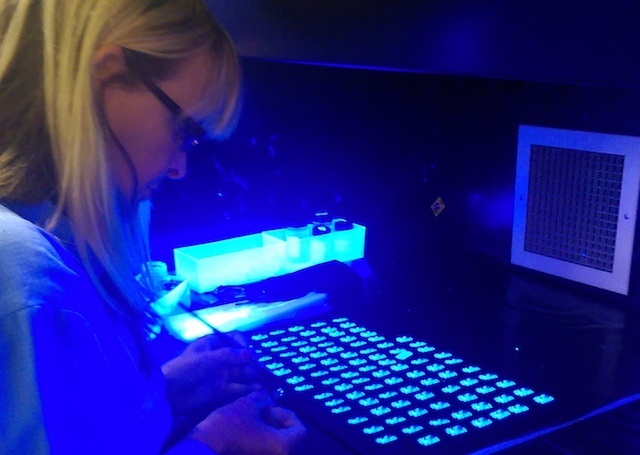 Also, select a more flexible conformal coating.